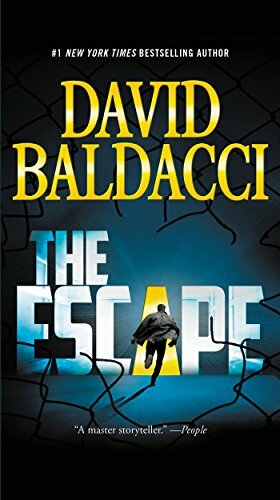 The Escape (John Puller Book 3). Special Agent Puller's brother is the country's most wanted criminal, but his conviction points to a cover-up--and a dangerous enemy bent on burying the truth in this #1 New York Times bestselling thriller. It's a prison unlike any other. Military discipline rules. Its security systems are unmatched. None of its prisoners dream of escaping. They know it's impossible...until now. John Puller's older brother, Robert, was convicted of treason. His inexplicable escape from prison makes him the most wanted criminal in the country. Some in the government believe that John Puller represents their best chance at capturing Robert alive, and so Puller must bring in his brother to face justice. But Puller quickly discovers that his brother is pursued by others who don't want him to survive. Puller is in turn pushed into an uneasy, fraught partnership with another agent, who may have an agenda of her own. They dig more deeply into the case together, and Puller finds that not only are her allegiances unclear, but there are troubling details about his brother's conviction...and someone out there doesn't want the truth to ever come to light. As the nationwide manhunt for Robert grows more urgent, Puller's masterful skills as an investigator and strengths as a fighter may not be enough to save his brother--or himself.